Ever since the air conditioner was accidentally invented in the late 1800’s people have been trying to modify and improve upon it. Part of the reason they wanted to do this was to capitalize on the profits to be made from this appliance that has made life so comfortable for millions of people. 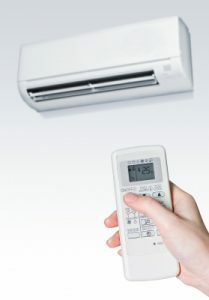 Although there are several different kinds of air conditioners available in the marketplace only three of those are widely popular for home use. Here is an overview of the three major types of air conditioners. What can you say about these types of air conditioners except they are an oldie but goodie. They were the type of air conditioner that made it affordable for everyone to own one. Part of the reason they became so popular was not only because they were affordable but they were also easy to install. All you had to do was remove the lower half of a standard window and slide them in. So the only prerequisite to ownership was that you had electric power and a window. One of the drawbacks to them was that you needed many units in most cases to cool a bigger house. These units were also not very energy efficient and they really took away from the looks of a home if you had several units sticking out windows. These types of air conditioners first gained widespread popularity in Asia and have since expanded rapidly to the rest of the world. What makes them nice is exactly what their name says. They are ductless so you don’t need to spend money putting in expensive ductwork to install one. Also, because they are a split unit only the control section goes inside the house; this means the much noisier condenser section goes outside so they are quieter and more aesthetic than window units. These are medium priced units whose biggest drawback is that you would need several to cool a bigger home. These are by far the most convenient air conditioning units to use. They come as part of an overall HVAC (heating, ventilating and air conditioning). The air conditioning part conveniently installs outdoors and shares the same ductwork and central controls as the furnace part of the unit that provides heat to a home. There is no air conditioning system that is as easy to control as this one. They are also known to hold up for a very long time without repairs and will help clean the air in your home too as they circulate. There biggest drawback by far is their high initial cost. Each of these types of air conditioners has their good points and their bad points. One thing is for sure though, if it is a hot and humid summer day it will not matter which air conditioner you own as long as you have one. Air conditioners have truly raised the comfort level in homes since they were brought into the marketplace for sale. ← What Makes Central Heating Systems Ideal to Own?